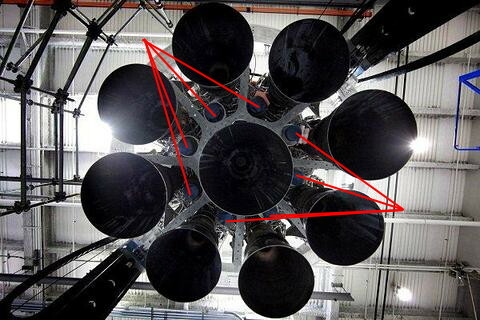 When Falcon 9 was on its way to ascend, flames appeared around the bottom of the booster. What are they? I think that is exhaust gas recirculation. Exhaust products gather in the low-pressure area around the base of the rocket. Their flames are long and narrow, and not visible when all engines are running. In a video of a landing stage, you can see the gas generator exhaust flame. That is the exhaust of the gas generator. This is basically an engine that burns the same fuel/oxidizer to turn the turbo pump that makes sure enough fuel/oxidizer gets fed to the engine. What flame is SpaceX's Hans Koenigsmann describing in his presentation? 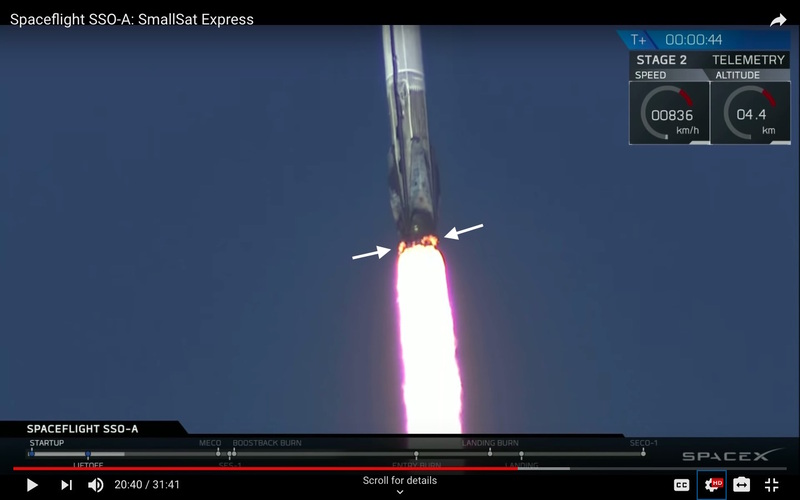 Was the side booster footage from the same camera during the Falcon Heavy test flight stream?